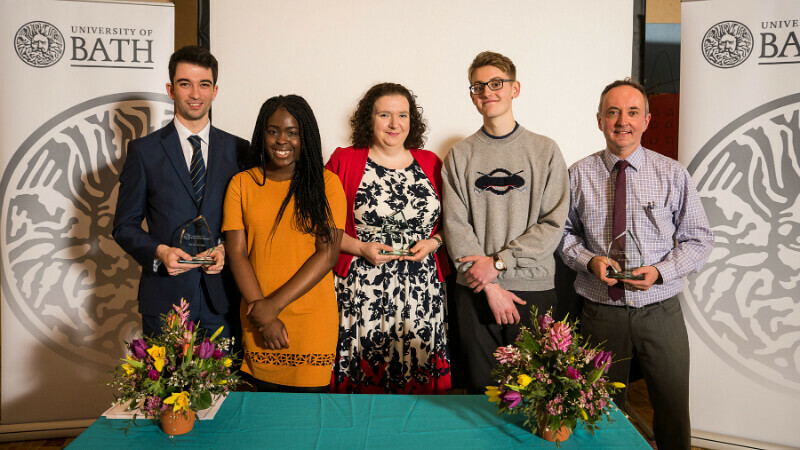 Winners and their student nominators: Oliver Savvides with Sherifat Adeniyi, Liz Wife and Thomas Etheridge, and Christopher Morgan at the Inspirational Teaching Awards 2018. Current first year students at the University were reunited with their former college and sixth-form tutors at an event celebrating the inspirational role played by teachers in helping to prepare young people for university life. 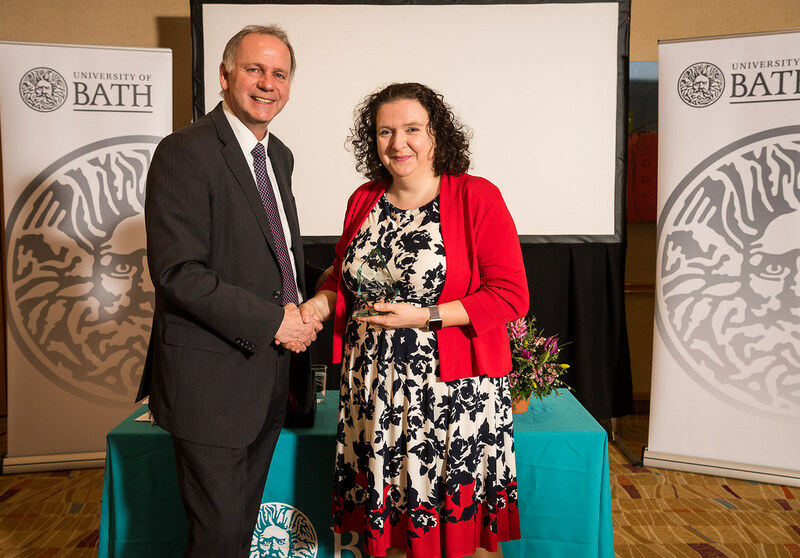 The all-new Inspirational Teaching Awards, launched last year by Student Recruitment & Admissions, are designed to recognise and reward the crucial and often extra-curricular role teachers play in encouraging and supporting talented students in state schools progress to university. As part of the initiative, first year undergraduates studying with us who come from schools or colleges with a limited history of sending students to the university were asked to nominate an inspirational teacher who inspired and supported their achievement in an extended project qualification (EPQ). Our students were full of praise in nominating their former teachers. A panel of staff from across the University considered each nomination. They included panel Chair and Deputy Head of the Skills Centre, Sarah Williment; Emeritus Professor Jeff Thompson, Department of Education; Admissions Manager (Progression), Hannah Thompson; Widening Participation Outreach Officer, Sophie Kirtley and Recruitment Manager and Panel Secretary, Sue Garrett. Chair of the judging panel, Sarah Williment added: “Judging these nominations has been a very rewarding process. It was a humbling experience to learn about the incredible levels of dedication and commitment of these teachers. Overall, the quality was extremely high and it was a difficult decision to identify a single winner, as all the nominees were hugely deserving. Winners of this year’s Inspirational Teachers Award have also been invited to contribute to ongoing development of the Bath Extended Project Qualification (EPQ) Massive Open Online Course (MOOC) and the University’s Teachers Conference which takes place in June.